Before last week, membership in the National Rifle Association meant gaining access to a broad range of discounts. From special rates on auto insurance policies to cheaper flights when you booked through its website, the NRA's discount program offered a lot of perks. But in the wake of a massacre at a Florida high school on February 14, activists flooded social media with calls to end corporate partnerships with America's most powerful gun lobby. Since Thursday, more than a dozen brands severed ties with the organization. In a statement, the National Rifle Association called the decisions "a shameful display of political and civic cowardice." "In time, these brands will be replaced by others who recognize that patriotism and determined commitment to Constitutional freedoms are characteristics of a marketplace they very much want to serve," the statement said. NRA members still have access to other perks, such as a free gun-owner insurance plan and options to save on travel costs. But the listings on the organization's "Member Benefits" page have dwindled. Here's how it all went down. The First National Bank of Omaha said it will stop issuing an NRA-branded Visa card. 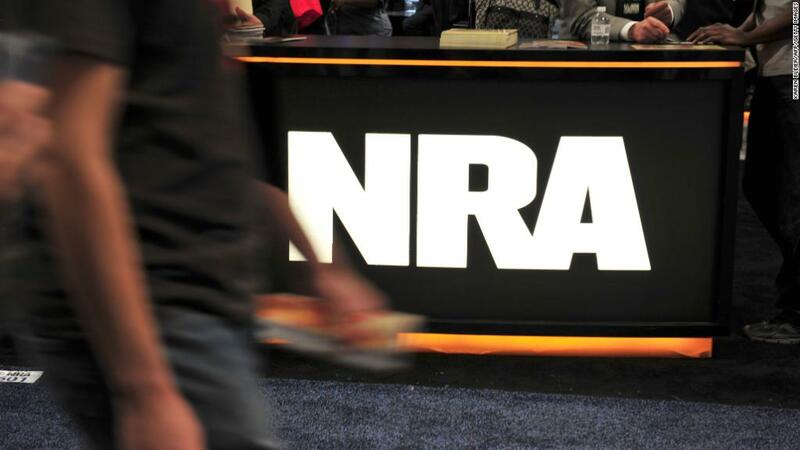 A bank spokesperson said "customer feedback" prompted a review of its partnership with the NRA, and it chose not to renew its current contract. Enterprise Rent-A-Car, Alamo Rent a Car and National Car Rental, which are all owned by Enterprise Holdings, announced the brands would stop offering NRA membership discounts on March 26. Symantec (SYMC), which makes the Norton anti-virus software and owns the identity theft protection company LifeLock, announced it "has stopped its discount program" with the NRA. Hertz (HTZ) made its announcement in a tweet. "We have notified the NRA that we are ending the NRA's rental car discount program with Hertz," the company said. MetLife (MET) said it will stop offering NRA member discounts for home and auto insurance policies. SimpliSafe, which makes home security systems, "discontinued our existing relationship with the NRA," CEO Chad Laurans said in a statement. Avis and Budget Rent a Car, which are owned by Avis Budget Group (CAR), said through a spokesperson that the brands will stop offering discounts on car rentals to NRA members beginning March 26. Allied and North American, two moving-van lines that are both owned by Sirva, said that the brands "no longer have an affiliate relationship with the NRA effective immediately." TrueCar (TRUE), a car buying service, said late Friday that it would end its deal with the NRA as of February 28. Delta Air Lines (DAL) announced Saturday morning that it's ending discounted rates for NRA members. "We will be requesting that the NRA remove our information from their website," the company said in a tweet. United Airlines (UAL) followed a short time later, saying the company will no longer offer discounts on flights to the NRA annual meeting. Paramount RX works with a third-party vendor to provide a prescription drug discount program to NRA members, but the company said in a tweet Saturday that it is "working with that vendor to discontinue the program and remove the offering." Starkey, a company that makes hearing aids, announced Saturday evening that it has decided "not to renew our discount program with the NRA" and asked the organization to "remove our information from their website."